I was thrilled. It’s still a recent phenomenon for those of us who rely on alternative formats to have immediate access to such a wide variety of books, including popular ones that I might teach in a disability studies class. I settled into my seat and considered which voice I wanted to have read it to me. Synthetic voices have improved by leaps and bounds over the past few years, and I’m one of those folks who likes them to sound somewhat human but not too human because I like to read fast. Still, I appreciate having a choice between a male and a female voice. 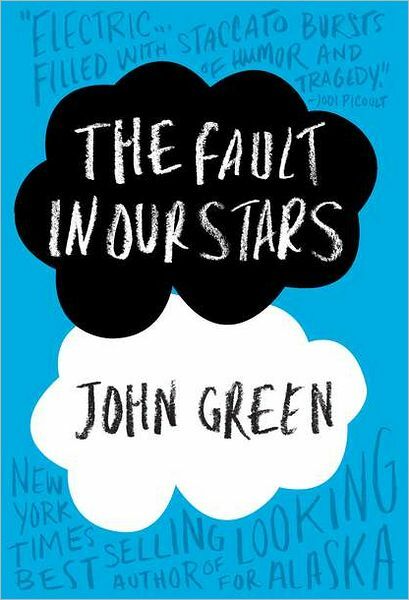 When I don’t know anything about a book - as was the case with The Fault in Our Stars, I opt for the gender identity of the author, so my narrator would be “James” because the author was John Green. James’s voice meshed well with the snarky, knowing voice of the book’s narrator. He had the right blend of detachment and teen-engagement, and I quickly got absorbed in the story. Male voice. Male character. Then I got to the scene where the main love interest shows up at the cancer support group. “Look, let me just say it: He was hot. A nonhot boy stares at you relentlessly and it is, at best, awkward and, at worst, a form of assault. But a hot boy…well." James reported. My ears perked up. Interesting! My colleague had said that it wasn’t what I’d expect, and indeed it wasn’t: a gay love interest in a best-selling young adult novel. Now I was really paying attention. Sure, I quickly learned he was named “Hazel,” but maybe it was one of those name like Marion or Andrea or Robin that sound like female names but guys can have them too. Or maybe Hazel was transgender? Unexpected indeed, I thought, especially since the cancer support group was undeniably religious; the characters clearly had some ambivalence about the group leader and even the room where they met, and yet religion was deeply central there too. Besides, several of my closest friends are gay guys who still talk about their Christian groups from when they were teens. I got sucked into the story, but because of trying to figure out the queer angle and how far America seemed to be coming so fast, I was paying unusually close attention to every detail without quite knowing what to do with them. Somewhere over Illinois, enough of them added up, including at first the use of a pronoun or two: Hazel was a girl! My world shifted on its axis. Did Hazel’s gender really matter? Maybe we should write more books where someone can read whatever gender they want into the story, give them lots of conflicting details like James was doing as he talked about dresses and such. Whether Hazel was male or female or neither or any or all, I still would have cried all the way home, completely absorbed in a love rooted in honest, complex depictions of cancer and hope and parents and friends and nurses and betrayers and denial and pain and exhaustion and loss — all of it. I’m not sure if it’s a good or a bad thing, but by the time I got off the plane, Hazel had no gender for me. She was just Hazel, a sexual, feeling person who loved another briefly and deeply. I don’t think “wrong” quite fits, but still I applaud the lesson. Here is one of those great moments where disability teaches something other than pathos and the technology catapults us beyond accommodating a disability to shake things up in truly beneficial ways. Perhaps all readers should activate the text-to-speech functions built into our favorite devices and read a cherished text to get a new perspective. Surely my assistive tech gave me unique access to the inner workings in The Fault in Our Stars. At the very least, it gave me an additional something "unexpected" to contemplate for a long time.